Estate Planning is really just a short phrase for a detailed process. Often times people put off estate planning because the decisions can be difficult. Decisions like “Who will be my beneficiary?” or “How will I divide my assets among my children?” or “Where do I want to be buried?” Some of these questions have to be answered before an estate plan can be created. At the office of Constance Aschenbrenner, we specialize in estate planning. We provide individualized counsel and will guide you through the process in accordance with Alaska law. Estate planning can be a sensitive process. Therefore, we offer the following overview to help direct your decision making process. Before you think about your estate plan, think about your family. Do you have a traditional or blended family? Is there anyone in your family with special needs? Is there anyone outside your family that you might like to include in your estate? Begin by making a list of all those names, even if you aren’t sure at the moment exactly where they will fit. Once you have identified who will be included in your plan, then you can move on to other decisions. In the simplest terms, people create estate plans to avoid a mess. Sometimes witnessing what happens when a friend or co-worker dies without an estate plan, can motivate someone to begin the process for themselves. Everybody wants to avoid probate and hurt feelings. And nobody wants to waste time and assets. Another reason estate planning is important is to minimize state and inheritance taxes. For instance, with just a little bit of estate planning, married couples can greatly reduce or sometimes eliminate estate taxes by choosing to establish a trust. Additionally, many people create an estate plan to protect minor beneficiaries. In all 50 states, minor beneficiaries must have an appointed guardian. An estate plan gives you the opportunity to make that decision yourself, in a thoughtful way, rather than leaving it to the court. Even if you have a revocable living trust, you might also need a will. It is the first element of the estate planning basics. A will directs the judge how to divide your estate. Names the guardian of your minor children. Affects all property that hasn’t already been assigned by another means. Wills are part of public record. Allows you to award specific items like a piece of jewelry or a family antique. Goes into effect after you die. A living trust will allow for the smooth transfer of assets without probate. Goes into effect as soon as it is signed. Probate is the process used for settling a person’s estate. It is supervised by the court. Probate may or may not be necessary, depending on whether or not an estate plan was in place at the time of death. If the plan included a Revocable Living Trust, then the court does not need to be involved for the division of the assets. If no estate plan exists, all assets will be submitted to probate and the court will make those decisions. We’ve all heard probate horror stories from friends and coworkers. 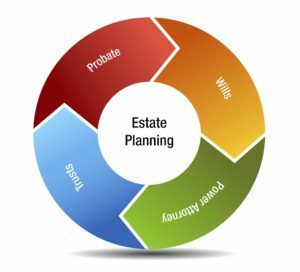 Avoiding probate is one of the biggest reasons people choose to create an estate plan. 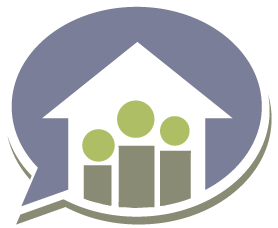 An estate plan isn’t just about the division of assets. It also includes a instructions, should you or your aging parents become mentally incapacitated. Without a plan, your assets will end up in court under the supervision of a court-appointed guardian. Proactive planning for long-term care is the only way your healthcare needs will be met, without exhausting all of your assets. Planning for emergencies with an Advanced Healthcare Directive is a must. This will allow you to choose a person to make decisions for you, should you become mentally incapacitated. There are a number of laws that govern how an Advanced Healthcare Directive is created with respect to who can sign and how it should be witnessed. If it’s not created properly, it might not stand up in court. For this reason, we strongly suggest creating an Advanced Health Care Directive under the guidance of an experienced estate planning attorney. A Power of Attorney is a written document created to give legal authority to a person of your choosing. This person can then manage your affairs and make decisions on your behalf. Is important that a Power of Attorney keep good records and never mix your assets with theirs. Failing to do so could get them in legal trouble with local police, state and government offices, or with protective services. An effective estate plan can include a lot of different elements and is tailored to each family’s needs. If you are ready to begin the process, you might consider signing up for one of our free monthly seminars. These workshops, led by Anchorage Estate Planning Attorney, Constance Aschenbrenner, is a great place to learn and ask questions.